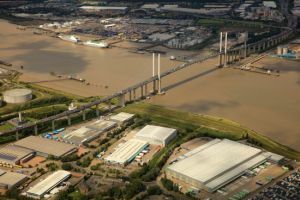 Freight forwarder Davies Turner says it is seeing an upsurge in enquiries about the availability of warehousing space, driven by customer concerns about the outcome of the Brexit negotiations and the future of UK trade with the EU after March next year. Normally, warehousing demand often reduces in the early months of the new year as retailers run down stocks after Christmas but 2018 has already been a busy year with limited spare capacity and this is likely to continue into 2019. Davies Turner chairman, Philip Stephenson says that the increase in enquiries, many of which are originating from the company’s partners in Europe, seems to be the result of companies deciding to stockpile more goods than usual in preparation for any supply chain disruption that may occur around the still to be negotiated transition period following the UK’s departure from the EU next year.